Every month, Windermere Stanwood-Camano publishes a snapshot of the local real estate market. Our Brokers use this data to help determine listing prices, realistic offers, and tailored advice for their clients. We also like to make this information public, to help you with your real estate journey. Here are our key takeaways from October 2018. Looking at the current market on Camano Island, there are some positive points for both buyers and sellers. 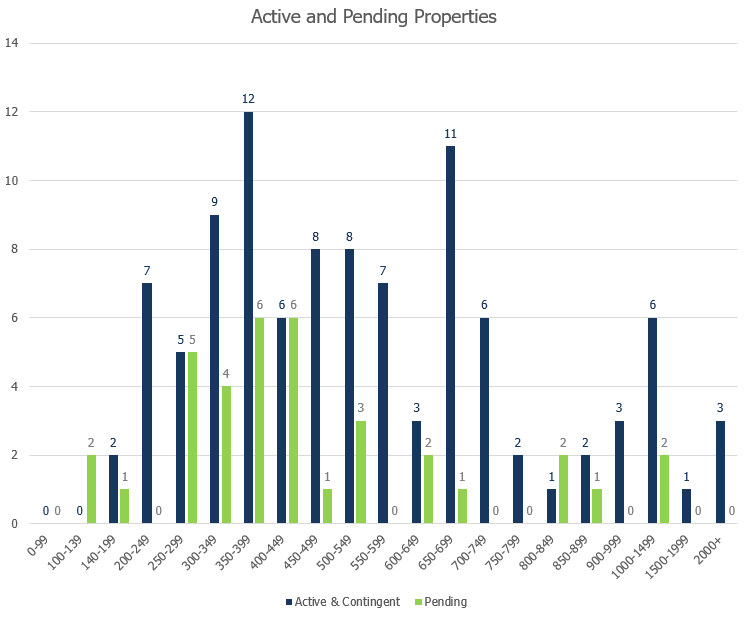 As of November 12, there are more active residential listings this year at 102 compared to 94 last year. Buyers will be happy to see the increase in inventory, even if it’s only up by 9%. 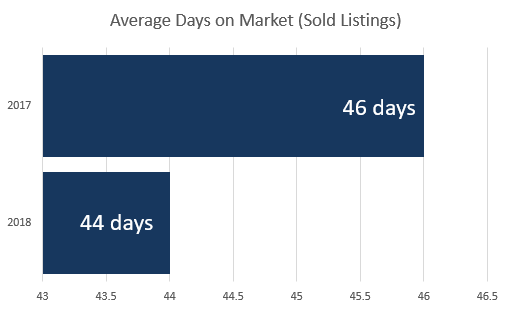 The average days on market for sold listings dropped from 57 last year to 42, which is a plus for sellers considering homes tend to stay on the market a little longer this time of the year. Sellers will be happy to know that the average list price is up by 12%, too. 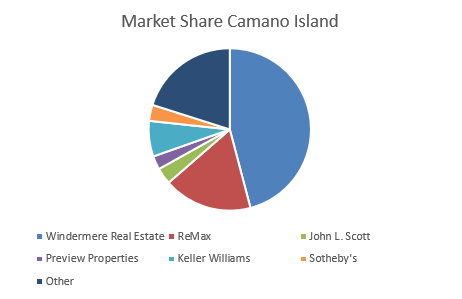 Windermere held 38% of Camano Island listings in October. Our large market share of listings is a testament to our knowledgeable agents who are familiar with the ins and outs of Camano Island! The largest quantity of homes sold so far this year on Camano Island fell into the $350k – $399k price range. 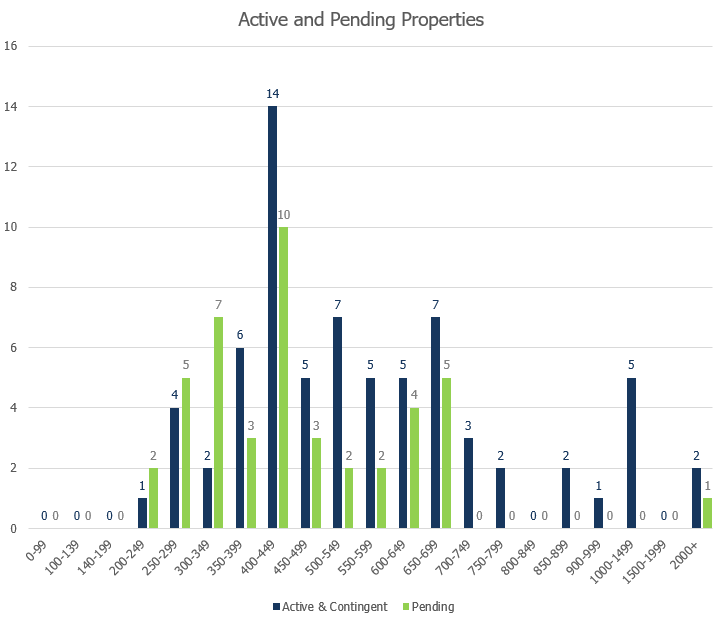 This same range includes the largest quantity of active listings as well. If you’re a Camano Island homeowner and you’ve been thinking about selling, it’s still a good time to list. 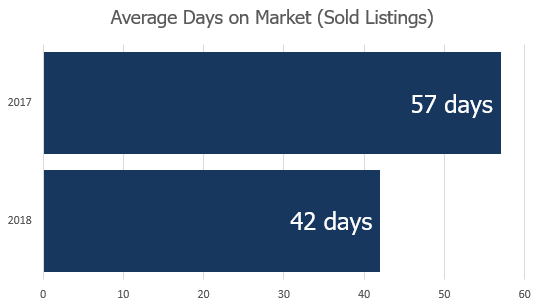 In October, the average days on the market for sold listings was just 44 days – two days less than October 2017. So, even though we’re hearing about market slowdowns in areas like Seattle, Stanwood is still a hot sellers’ market. Inventory dropped slightly at 5%, from 75 active residential listings last year to 71 this year. 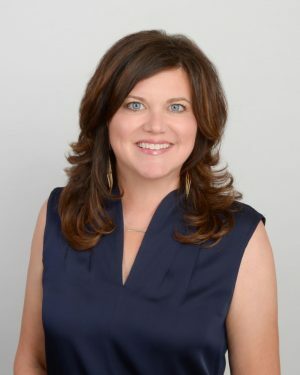 This is a sign to potential sellers that now’s a good time to call your agent and start the process of getting your home on the market. The largest quantity of active listings falls into the $400k – $449k price range. However, the largest quantity of homes sold over the last 12 months was in the $350k – $399k range. The biggest takeaway for Stanwood homeowners is that it’s still a good time to sell regardless of the ensuing winter. A slight decrease in inventory means less competition.